The geared rope machines are a step up in performance from the Meyer machine. Naturally, the price climbs accordingly. Both machines are made in the USA. The Bradshaw uses sun and planet gearing, while the Rope Master is ring gear driven. Each machine encloses the gears within the housing. These machines are for the serious ropemaker who wants to reduce the amount of time spent cranking. Use the Contact Us page to inquire about current pricing on these machines and the configuration of interest. The Bradshaw is for smaller diameter cordage, from scale model rope to half, maybe 5/8 inch diameter applications, up to a medium lay hardness. 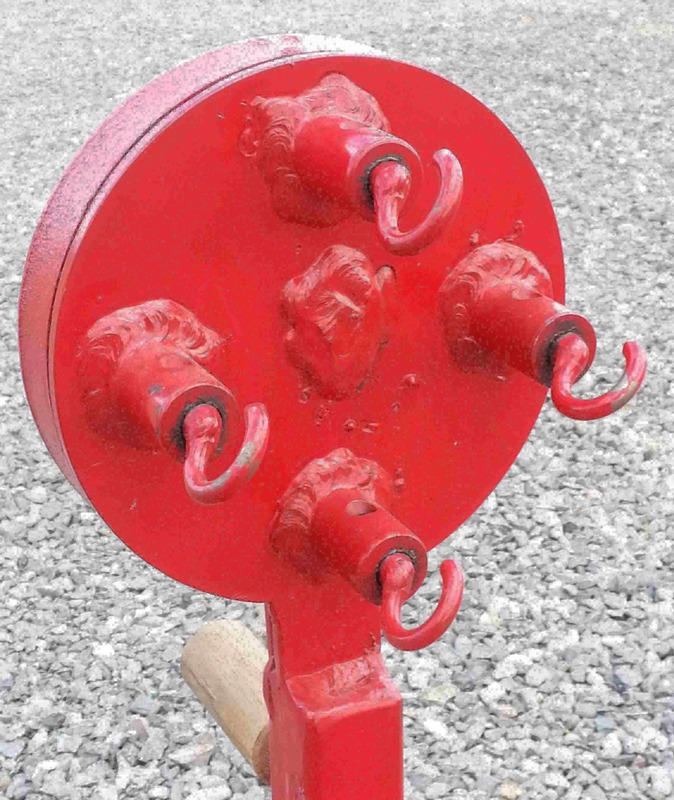 The machine was designed to be mounted on a hand held drill, with the drill moving relative to a swiveling hook at a fixed location. However, it can be set up on a workstand with a hand crank, to work like other rope machines, in craft or small shop operations. One turn of the input shaft turns the strand hooks two times. 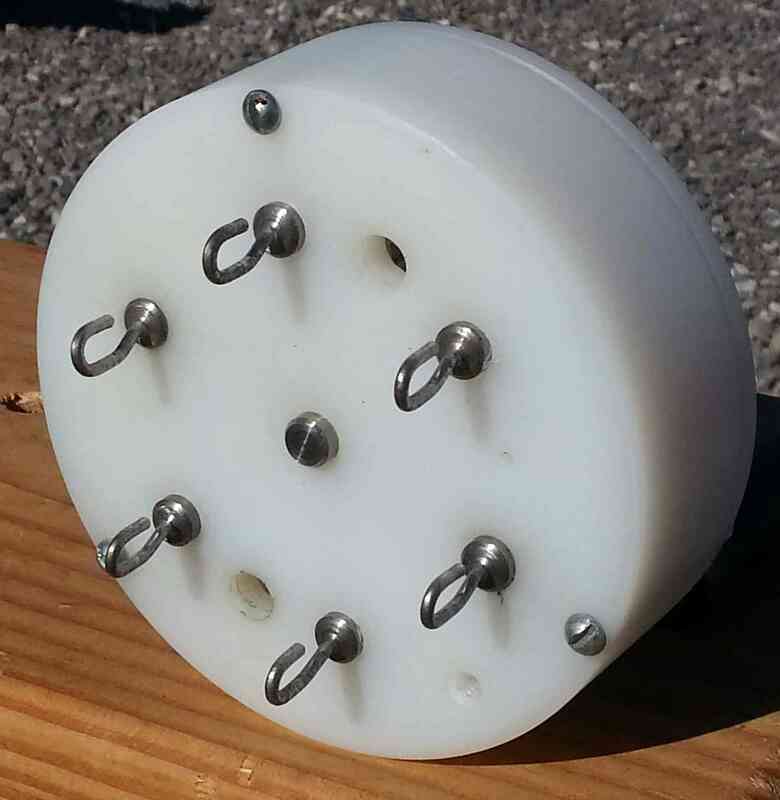 The machine housing is drilled to allow 3, 4, or 6 strand shaft/hooks to be installed about a three inch circle. The housing is delrin plastic while the shafting and strand hooks are stainless steel. 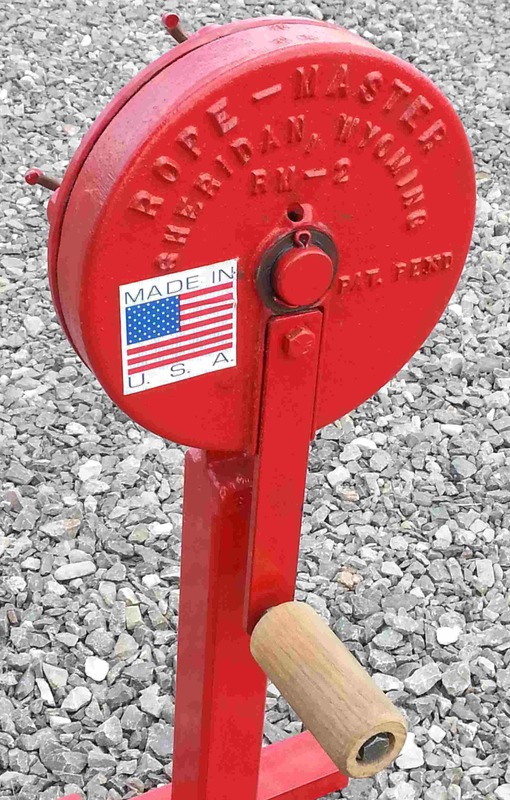 The Rope Master is a new made all-steel machine with wooden handle on the crank arm. 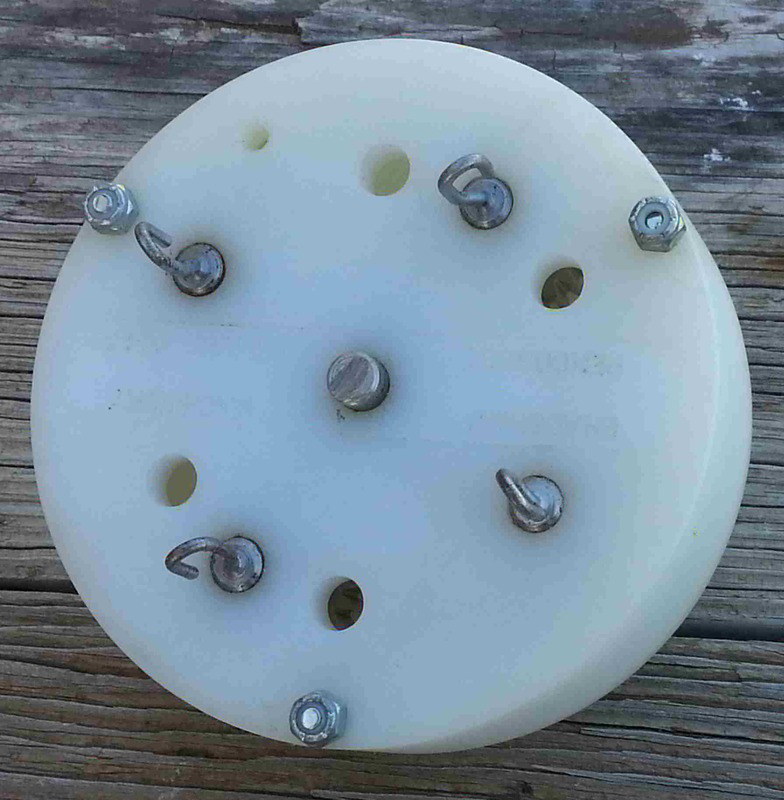 This machine is available in 3, 4, or 6 strand shaft/hooks installed about a five inch circle. The machine is geared 4.8 strand shaft turns per turn of the crank. The machine head weighs about 25 pounds, depending on the configuration. 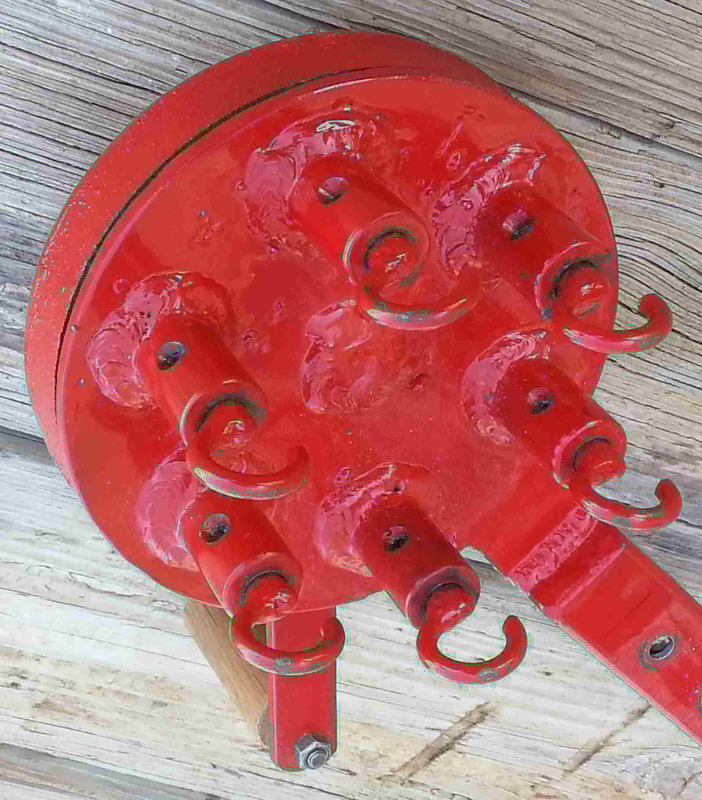 This machine is optimized for someone doing rope making at fairs, festivals or other public events and needing to make as many ropes as possible in a limited time period. 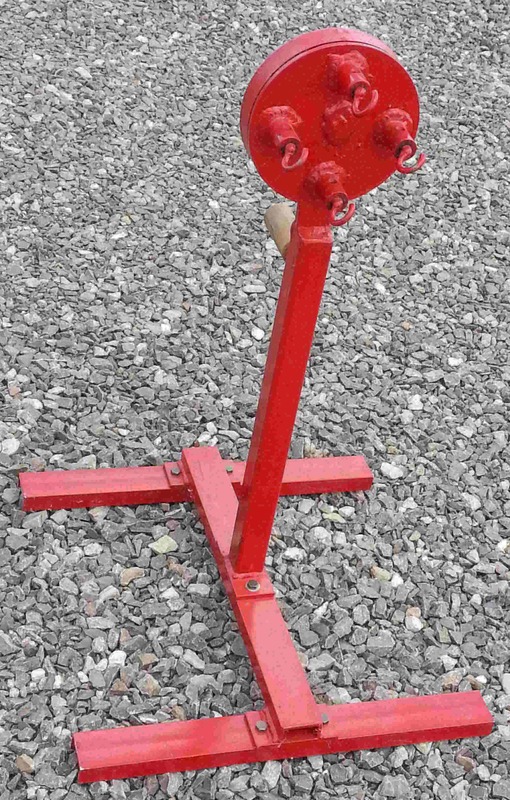 The machine comes with a metal H-frame stand, with the machine sitting about 26 inches above ground. It is easy for children to turn the crank for making small diameter ropes, yet stout enough to make inch-plus long ropes.